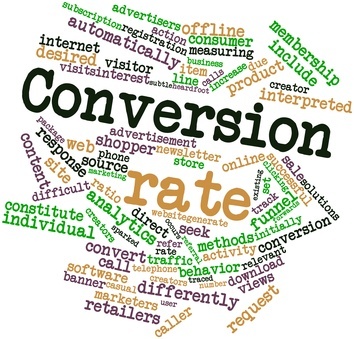 Blog » How To Buy Mortgage Leads And Increase Conversion Rates. It might seem like there are actually too many numbers…but in reality only one of them matters.When it comes down to it, every profitable business relationship is based around numbers. And the one number every business owner needs to be concerned with is conversion. Nearly every other figure that you generate inside of your sales process will be ultimately less important than what your conversions are. Profit gained and revenue lost are both matters of conversion. Higher conversion yields more revenue, where as lower conversion will halt the production revenue. What we’ve taken the time to do is to approach the issue of poor conversion and give you some best practices that you can follow to increase profit margins without increasing operating costs significantly, (or at all). Here’s What You Can Learn From Our Homework. The truth is for a long time, businesses weren’t aware what the best practices were for producing generous conversion on mortgage leads. Let’s start off with the obvious. A killer contact rate does not a stellar conversion rate make. Sure, the best way to get a new lead on the phone (and improve contact ratio,) is to call them incessantly until they answer. But, it’s most assuredly the one way to make sure they don’t become one of your customers. Phone call fatigue is one of the leading reasons potential customers won’t do business with you. Instead of annoying your lead to death, there is something you can do to increase both contact rate and conversion rate instantaneously. Simply have protocol in place which allows you to contact your new lead within one minute of obtaining their information. Quick and efficient follow-up helps increase conversion. It’s a proven fact. A study performed by Leads360 indicated that when a company was able to reach a potential prospect within one minute of receiving their information, conversion rate was up 400% over any other time they were contacted. Even more interesting, for every minute waited after receiving prospect info, the estimated conversion begins to decrease exponentially. So What’s The Perfect Number of Times To Call Mortgage Leads? Even though immediate contact is preferable for increased conversion rates, the odds are you won’t reach your prospect with the first call. It’s been shown that 93% of all converted leads are reached by the 6th phone call. Shockingly 50% of all leads are never contacted after the first call. The evidence here is that prospects can be converted through quick and constant contact (6 phone calls,) but they must be pursued to convert them. It’s of no benefit to your organization if leads that are hot to convert, never see proper follow up. Another note if interest in regards to calls and call timing is that when you call affects conversion substantially. This has nothing to do with when you call your prospect in the day as opposed to when you call your prospect after they’ve become your lead. As you are already aware, being able to contact a lead within the first minute of the lead becoming live produces above average conversion results. Similarly, when a lead is contacted 30-60 minutes after the lead was generated, it will result in higher conversion that all other half hour periods after the lead is generated. The takeaway here is that you want to be able to contact leads ASAP. If you’re thinking “I want to buy mortgage leads,” then keep this information at hand. The inability to contact a lead within 6 attempts means you should let the lead pass away into a state of non-existence. The reason why is that it’s been shown when a lead is initially contacted after the seventh phone call, they are unlikely to turn into a closed deal. This means that going after the 7% who are finally contacted after the seventh phone call is a waste of time, and the operational costs to pursues those leads are best invested in new leads that can prove to convert at higher percentages. Don’t Spend All Your Time On The Phones Either. Phones will always have a valuable place in lead conversion. However, the age of direct contact via email has paved new paths for profits. Email is not only an efficient way of maintaining contact; it’s a perfect platform to pitch prospects on doing business with your company and to build a relationship that can convert. When prospects receive an email, they will see 16% higher more contact via phone. Surprisingly more than 5 out of 10 prospects will not receive an email in the first place, meaning that strategic foothold that email provides is being neglected entirely. Email contact failure is a direct result of a company’s failure to obtain it, or the customer refusing to provide the company with one. Truth be told, not only is email a necessary contact medium, there is a limit to how much you should be emailing. One study showed that when a potential prospect received more than 5 messages in the month they became a lead that conversion rates were 36% lower than those of prospects who had received 5 or fewer emails in the month. This indicates that email is a viable and essential part of the contact process, but like phone calls, has a point of diminishing returns. Matter of factly, if you buy mortgage leads and are wondering how to turn them into cash, then following these simple procedures is a sure-fire way to increase revenue. Be sure to include email as a part of your contact strategy. Email less than 5 times in the first month to reach ideal conversion rates. Call within one minute of a lead entering the system. Don’t call more than 6 times. Eliminate leads that have been called 7 times and haven’t answered. After studying 3.5 million leads in over 400 industries, market leader Leads360 has determined these actions to be one of the best lead conversion strategies. Conversion improvement of around 128% happens when leads are contacted by phone ASAP and when the proper amount of emails are sent to the potential customer. Doe these sound like actionable steps you can take. Anything you’d like to add? We’d love to hear your comments below.